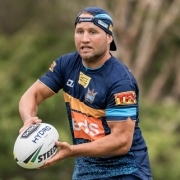 The Penrith Panthers have sacked coach Anthony Griffin just four weeks out from the NRL finals. 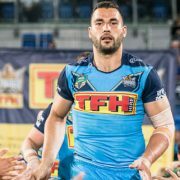 Griffin was under contract until the end of 2020 but was informed by Penrith General Manager Phil Gould that his services would not be required beyond this season. It’s believed the club was of the opinion that Griffin could not take the club to a premiership, despite the side sitting in equal 4th place on the ladder and having appeared in the finals for the last three years under Griffin. Griffin is set to leave the club immediately with Assistant Coach Cameron Ciraldo to take charge of the side for the rest of the season. There has been numerous reports of tensions at the club and disagreements between Griffin and Gould about the direction of the team. 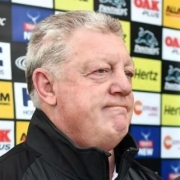 Gould has previously denied reports that Griffin would be shown the door in favour of Manly coach Trent Barrett. Griffin is not the first coach that has had their contract torn up early by Gould. Ivan Cleary was famously dumped as coach in 2015 with a year still to go on his contract.